Recently, when Bitcoin failed to climb back above $10,000, we anticipated a loss of confidence for Bitcoin that would lead it to test the $8000 mark. It is doing exactly that and has cracked this level, opening up the low around $6000 back in February. There's really not much technical analysis that needs to go into assessing this market. It's BEARISH, at least in the short and maybe medium-term. Hey it might last the whole year. The interesting thing I would like to point out is that while Bitcoin slides, some anticipated that other "large" cap crypto like Ethereum might hold value. This was not the case however as Ethereum was actually a bigger loser over the past week. In fact almost every altcoin is bleeding, some harder and some slower than BTC. There is essentially no way to diversify out of this unless you simply rotated out of all crypto. 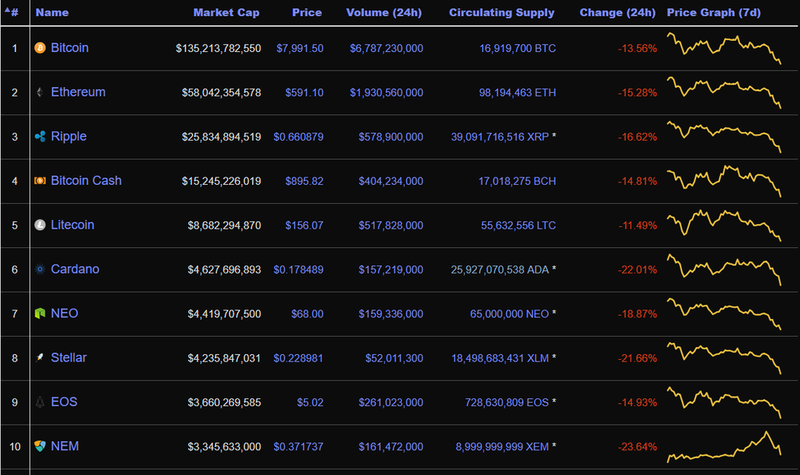 As we can see, the top 10 cryptocurrency based on market cap are all bleeding. With all this blood on the street, we should wonder if it is time to buy. Personally, I have been rotating mostly out of alts and into fiat (in hindsight I should have done it earlier and more aggressively). Around $8600 I started to scale in and will have dry powder ready all the way down to $3000. And until bitcoin stabilizes, I think alts other than Litecoin and Ethereum should be avoided, or traded lightly and nimbly (small position, narrow time-frame). This is why having dry powder is important. And better yet, if that dry powder is NOT new injection of cash, but instead cash from rotation out of crypto, you are playing the game right in my book. 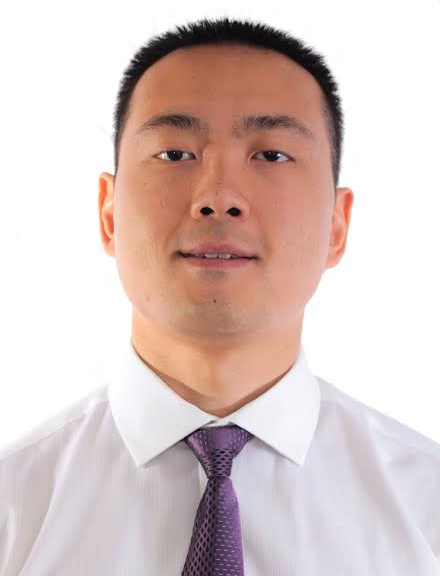 New traders, who only gone through the ups of crypto market i.e. from 2017, are now facing market conditions they have not met before. It is important to ground yourself as a trader/investor with a solid framework before attempting to "moon".